Are you looking for the best car speakers you can buy this year? The best part about driving instead of taking the subway is being in control of your entertainment. You have the freedom to choose and listen to your favorite tracks as you cruise down the road. But it cannot be called entertainment if you can’t hear the music clearly. You may have a car that is so loud that other motorists roll down their windows to get a glimpse of your car, but that does not necessarily mean that you have best car speakers. It is better to have smooth, clear tunes playing in your car than loud music that you cannot really tell the words. That’s why we have carefully examined car speakers and come up with the Top 10 Best Car Speakers Review 2019. Best Car Speakers Types – Component or Coaxial? Before we delve into the details, below is a summary of the Top 10 Best Car Speakers you can buy in 2019. We have evaluated numerous car speakers from all the major brands. These include Alpine Car Speakers, Infinity Car Speakers, Pioneer Car Speakers, Jaras Car Speakers, BOSS Car Speakers. Others include Rockford Fosgate Car Speakers, JBL Car Speakers, JVC Car Speakers, Kenwood Car Speakers, Clarion Car Speakers, Kicker Car Speakers and Sony Car Speakers. Unless you already know what to look out for in car speakers, please take your time to read this part. Otherwise, you may skip straight to the specific speaker reviews. There are many factors to consider before purchasing car speakers. However, we have selected the most important ones that should ensure you get the perfect match for you and your car. The most important factor to consider when buying any new speaker is how efficiently it can handle power generated by the amplifier or receiver. So, if you have a very powerful amp, then you must ensure that the power handling of the speakers is almost equal to the amplifier’s output. The main aspects to check are the RMS (root mean square) and Peak power handling. Peak power, also known as MAX, is the power that the speakers can take in concise bursts. RMS, measured in Watts, is the amount of power that the speakers can handle continuously. While power handling when the speakers are at their peak is vital, continuous power handling is the most crucial. Therefore, regarding power handling considerations, RMS is the priority. Another thing to consider when it comes to power handling is impedance. Impedance (measured in Ohms) is the measure of the speakers’ resistance. Matching your car stereo system to your speakers is important. This will ensure that the speakers don’t blow up while preventing overheating of your amplifier. Ultimately, you are buying the new car speakers to have better entertainment. Maybe you need to replace worn out ones, or just to upgrade. Therefore, you should get speakers that will give you the best audio quality. The quality of your speakers’ output corresponds to their frequency range (frequencies at which your car speakers emit sound). Most stereo systems have a frequency range of 10 – 20,000 Hertz. Ensure that you buy car speakers that fit your preferred frequency range. To some extent, sound quality may be attributed to the sensitivity rating of the car speakers, as described below. Sensitivity rating (in dB) is a measure of sound produced vis-à-vis power input. Needless to say, it affects sound quality. However, one should not consider sensitivity rating in isolation. Sensitivity rating alone won’t tell you how good the output will be, but how efficiently the speaker uses power. For instance, a speaker with a higher sensitivity rating coupled with a robust amp will undoubtedly give you high-quality sound. A proper combination will give you optimal output. Unlike most aftermarket car speakers, some factory speakers may be made of relatively poor quality material. For car speakers to give you the desired output quality and last longer, they must be made from the best material available. In addition to longevity, better material means better sound quality. The quality of your car speaker woofers will most certainly affect the output quality. For optimal quality, stiff yet light material is preferred. For the cones, the most common yet effective material used is polypropylene. To ensure it lasts longer, it is mixed with synthetic fabric that is coated with metal or mica. Similarly, when it comes to the woofer surround, light, freely movable, long-lasting material will give you the best service. Avoid surroundings made of foam and cloth, because they won’t last long because of wear and tear. Also, the sound quality will most certainly be affected. The best material that will guarantee you superb sound, as well as long life, is rubber. You can’t go wrong with rubber surrounding. There are many car speaker sizes. The most common are the 6×9 inch speakers and the 6.5 inch speakers. You could also get 5.5 inch speakers. Please note is that speaker size is not directly proportional to sound quality or even longevity. The most important aspect you need to check is what your car doors can accommodate. Check the cutout size of the rear deck as well as the car doors before settling on a specific speaker. Since most vehicle manufacturers don’t match screw holes to the aftermarket speakers, it is advisable to buy a speaker bracket for easier installation. The advantage is that even if you purchased a small speaker by mistake, the bracket would help you fit it into a larger cutout. Click here to check how much this adapter costs. In all our product reviews, cost against budget is a constant in the “factors to consider” or “what to check before buying” items. At the end of the day, you don’t want to strain your budget. Good planning will ensure that you get the best car speakers for your car, at the right time. It would not be wise to rush to buy low quality, cheap speakers just for the sake of it. These would force you to dig into your savings sooner rather than later for replacements. My advice is to buy what you can afford, but if you don’t have enough now, it would be best to save up and get the best speakers for your car later on. Some accessories such as car eyelashes may be quite affordable, but you really need to plan on how much you can spend on your speakers of choice. In this review, we have selected affordable yet efficient car speakers that won’t push you over your budget. Last but not least, you should be able to easily get in touch with the manufacturer or distributor easily via their website’s online chat, telephone or email. This will make you feel at ease knowing that support is available on the go. Also, ensure you check that the speakers of your choice have a warranty. The standard manufacturer’s warranty lasts one year, but if you can get a speaker that has more, the better for you. Car speakers fall into two main categories – component and coaxial. As a potential buyer, it is best that you get to know the difference between component and coaxial car speakers before you settle on one. These come as a combination of one woofer and a minimum of one tweeter. The tweeter is built into the speaker. The speakers will usually come crossover. The purpose of the crossover in speakers is to split the audio frequency. Highest frequencies are directed to the tweeter, while mid-range and low frequencies are directed to the woofer. That is why they are also known as full range speakers. Most coaxial car speakers are two-way, meaning that they come as a combination of one woofer and one tweeter. However, you can get a speaker system with more than one tweeter, making the coaxial speakers three-way, four-way and so on depending on the number of tweeters. Installation is quite easy since the woofer and tweeters are combined into a single unit. Despite connection being easy (plug out the old ones and plug in the new speakers), there is a disadvantage. The fact that the frequencies come from a single point means that they may cancel each other out, thus affecting sound quality. Regarding cost, these are the best car speakers to get if you are on a budget. Component speakers are a bit more expensive that coaxial speakers. However, if you are not on a tight budget, these are the speakers you should get for your car. Now that you know exactly what to look out for in car speakers, let’s get down to business. We have analyzed hundreds of car speakers and narrowed down on the best 10 (both coaxial and component). Remember, you need to decide whether you will go for the coaxial or component, depending on your preference and budget. However, with any of these, you are guaranteed great entertainment as the sound quality produced is fantastic, regardless of which model you pick out of the top 10. Here, you will get a glimpse of what stands out for each regarding features and specifications. If you are not on a tight budget, component speakers are the ones to go for. At the top of the list is the Infinity Kappa 60.11CS. Infinity is among the best car speaker manufacturers worldwide. They have produced quite some impressive pieces, and this one does not disappoint. You get the highest quality sound you can hope for, with every detail clearly produced. Being component speakers, the 3/4 inch tweeters deliver high frequency that blends in well with the woofer’s frequency. Overall, the frequency ranges from 45 to 35,000 Hertz. The cones are made of carbon injected glass fiber, while the surrounding is made of rubber. So, the speakers are quite durable. In terms of power handling, these excellent car speakers can handle up to 540 Watts peak power per pair (270 each) and 180 Watts RMS power per pair (90 each). The 93dB sensitivity and 2 Ohms sensitivity guarantee optimal performance. Click here for the latest price information. Looking for a company with a good track record in this industry? Look no further. JBL is among the world’s best, with a history of over 70 years. They have produced many models of car speakers, and the JBL GTO638 is a masterpiece. You will get maximum benefits by using these speakers in your car, both in terms of sound quality as well as durability. Do not expect to go back to the shop a few months down the line. JBL uses the latest technology to bring to you maximum satisfaction. Their home theatre standard tweeter and patented Plus One® woofer cone ensure that you get the distinct sound output as you cruise down the road. The cone design provides a broader cone area than similar car speakers. Then, the tweeters are made of a strong mylar-titanium combination, and are accompanied by a supertweeter than can be adjusted as preferred. The speakers’ 3-way design only adds to the pros, ensuring that you get an outstanding sound quality that any audiophile would crave for. The surround is made of rubber to ensure that it lasts for long. In terms of power handling, you get peak power of up to 180 Watts and 60 Watts of RMS. A sensitivity rating of 92 dB and an impedance of 2 Ohms are suitable for most car audio systems. When it comes to installation, it doesn’t get any easier than this. You will not take forever to have the speakers and tweeters mounted – you can even do it yourself. These speakers are mainly designed as factory OEM car speaker replacements, with a patented Intermount III Mounting System to make it a smooth process for you. When it comes to component speakers, Infinity seems to have mastered the art. Infinity Reference 6500CX is a gem when it comes to sound quality, durability as well as being budget friendly (unlike most component speakers). The power handling on this car stereo system is also top notch. It can handle 540 Watts peak power per pair (270 each) as well as 180 Watts RMS power (90 each). To enhance sound quality, the woofers are accompanied by 1 inch tweeters that produce high frequencies for the perfect output quality. You should get high-quality sound within the 53-21,000 Hertz frequency response range. The Infinity Reference 6500CX has a sensitivity of 93 dB and an impedance of 3 Ohms. Therefore, just like other car speakers, ensure that you don’t under power to avoid blowing up the speakers. For more information on its current price, click here. What stands out about Polk Audio DB series is durability. Car speakers in this line are marine certified. If they can be used in boats without fear of getting spoilt quickly, be sure that they will do even better in vehicles. They are made with durable material to ensure that wear and tear are at the minimum. The surrounds, for example, are made of butyl rubber, which can last for ages before any noticeable damage. To make it even better, the cone is made of polymer coated with mica. The balance in the material used not only enhances durability, but also guarantees quality sound. Its dome tweeters are made of a composite of silk polymer. To improve quality, the Polk Audio DB691 uses a neodymium magnet. This fantastic audio system can continuously handle power up to 125 Watts (RMS) and 300 Watts of peak power. Lastly, its sensitivity rating is 93 dB while the impedance is at 4 Ohms. This means that it will work with most amplifiers. The speaker system’s frequency response range is 35 Hertz to 22,000 Hertz. Click here for the latest pricing information. Pioneer is renowned world over for among the best quality car speakers. Among the many lines of vehicle speakers, the TS-A series has not let us down. Dynamic frequency range, excellent power handling as well an attractive new design place the Pioneer TS-A1676R among world-beaters. This 3-way speaker system guarantees you superior sound quality to that of factory installed speakers. In terms of durability, you can’t go wrong. The surround is made of a Lightweight Elastic Polymer that withstands wear and tear for extended periods. A wide mica cone produces awesome bass, while a new-shape tweeter guarantees optimal quality with a broader range of mid to high-frequency sound. In terms of power, it can handle up to 320 Watts Max (peak) and up to 50 Watts RMS. The sensitivity rating is 90 dB, while impedance is 4 Ohms which is sufficient for most amplifiers. The speaker system’s frequency response range is 32 Hertz to 40,000 Hertz. Another audio company with a nominee on our top 10 car speakers list is Rockford Fosgate. The manufacturer not only produces speakers for vehicles, but also offers a wide range of audio systems for use at home, office, etc. The Rockford Fosgate R165X3 in particular, is a masterpiece. The 3-way speaker system is impressive in terms of sound quality, but at the same time will not be so hard on your pockets. Considering the output quality against the cost, you get value for your money. Its vacuum polypropylene cone in addition to rubber surrounding ensure that the speakers do not wear off too fast. Power handling is medium, with a peak power handling of 90 Watts. Continuous power handling (RMS) is at 45 Watts. A sensitivity rating of 91 dB plus an impedance of 4 Ohms ensures that it is at par with most speakers in this list. Also, you get a broad frequency range of between 52 Hertz and 20,000 Hertz. Kenwood has produced many amazing speakers for cars. Most of them are great at handling power while at the same time delivering unrivaled sound quality. In terms of durability, the woofer cones are made of polypropylene, the tweeter is made of polyetherimide while the supertweeter is made of ceramic. Rubber surrounds also ensure that the speakers last for a long time. The Kenwood KFC-6965S can handle a lot of power, which puts it at the same level as most of its competitors in the same class. 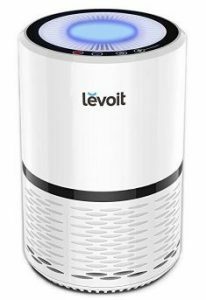 It can handle a max of up to 400 Watts per pair (peak power). On the other hand, the continuous power handling, RMS, is up to 45 Watts per pair. These high-quality output speakers will ensure that you get maximum entertainment. With a frequency ranging from 30 Hertz to 22,000 Hertz, a sensitivity rating of 92 dB and an impedance of 4 Ohms, they will certainly work with most amplifier models. However, it is not a must to have an amp since the sound is pretty good. Click here for information on price. This 4-way car audio speaker system comes with 2 well designed, high-quality speakers that are budget friendly yet producing fantastic sound quality. You may have to turn up the volume a bit in order to get the most out of them though. Longevity is a key advantage of this car speaker system, boosted by various features. The woofer cone is made of a poly injection while the 1.5 inch voice coil is made of aluminum. Use of a rubber surround minimizes wear and tear. With a frequency range of between 65 Hertz and 20,000 Hertz, two 1.25 inch tweeters ensure that there is a balance between high vocals, mids, and lows. Also, the speakers can handle continuous power (RMS) up to 200 Watts, and peak power of 400 Watts. In addition, the sensitivity rating of 90 dB coupled with an impedance of 4 Ohm is quite attractive to any audio enthusiast. Click here to find out how much the BOSS AUDIO NX654 costs. Before we get to the features and specifications, this is the most beautiful car speaker system on this list. The yellow colored cones made by poly injection are not only eye-catching but also quite durable. The butyl rubber surrounds prevent wear and tear. The system comes with 0.5 inch tweeters that can handle up to 100 Watts of power while producing frequencies of between 1,300 and 22,000 Hertz. Enjoy bass output from the 6.5 inch mid bass woofers that can handle up to 400 Watts of peak power (200 each). Their overall frequency range is between 50 to 5000 Hertz. The sensitivity rating is at 90 dB, while impedance is 4 Ohms. Installation is a walk in the park since the speakers come with all the installation hardware, wiring kit, and a comprehensive wiring diagram. Victor Company of Japan, Ltd, mostly referred to as JVC, has been one of the leading electronics manufacturers in the world. Apart from producing items like TVs, the company has built great sound systems. These include the JVC CS-J620 car speaker system. Mica cones coupled with hybrid and cloth woofer surrounds ensure that the car speakers last for a long time. With the JVC CS-J620, you get a 1 inch Poly-Ether-Imide dome tweeter. The tweeter ensures that you get the best quality sound, with the system offering a frequency range of 35 Hertz to 22,000 Hertz. Peak power handling is 600 Watts (300 Watts each), while RMS is 60 Watts per pair (30 Watts each). Also, the sensitivity rating is 92 dB while impedance is at 4 Ohms. 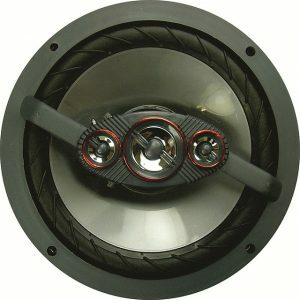 If you are looking to replace your OEM factory-installed speakers, then these will meet and exceed your expectations. They are also easy to install since they come with pre-drilled holes and mounting tabs. Click here for more info on price. You definitely need to upgrade your car speakers for the best entertainment. However, the quality entertainment you get is dependent on how much of an effort you out. Factory installed speakers may sound great, but probably not as good as the aftermarket ones. Nonetheless, before you just go and buy any speaker, you must know what to look out for. Just to recap, you need to check power handling, sound quality, sensitivity rating, build quality and size of the speakers. You also need to stick to your budget and ensure that help, support, and warranty comes as part of the package. Depending on your budget, you also need to decide if you want to acquire component or coaxial speakers. We recommend the Infinity Kappa 60.11CS as the best component car speakers. On the other hand, after a thorough expert review, the JBL GTO638 stand out as the best coaxial car speakers. Thank you so much for this guide! It’s very helpful. I had no idea that there’s so much to take into account when choosing speakers for your car. I want to get my husband new car speakers for his birthday but it’s so hard to decide on which ones to get. I think I could go over my budget a little to get component speakers but I’m not 100% sure. Coaxial speakers are easier to install and they’ve got inbuilt crossovers. But component speakers are customizable and have better sound quality. I’m not really sure what’s more important. I like the JBL GTO638 speakers but I’ll have to go through the guide once more before making a final decision. The JBL GTO638 made it into our best car speakers review only for good reasons. I am sure your husband will like them!